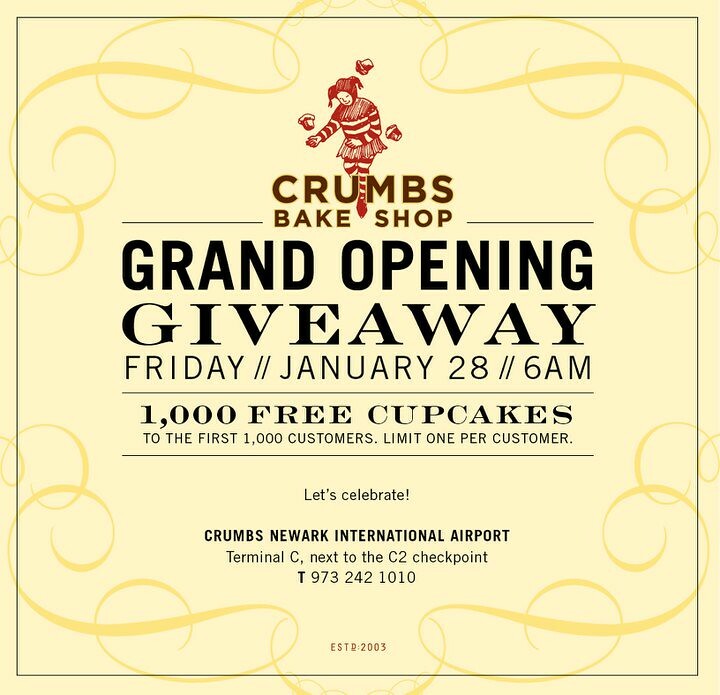 As we told you about earlier this week, 1,000 free cupcakes today at Crumbs in Newark Airport! I don't know off the top of my head about other cupcake bakeries in airports but have been saying for years that they should be in airports (I've seen a few random cupcakes at airports but not a cupcake bakery per se). Visit Crumbs' Facebook page for the latest. We Tweeted to Newark mayor Cory Booker (@CoryBooker) about this giveaway and he wrote: "Congrats! But oh the temptation!"